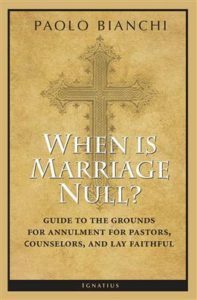 When Is Marriage Null? Guide to the Grounds of Matrimonial Nullity for Pastors, Counselors, and Lay Faithful. San Francisco: Ignatius Press, 2015. This book has a forward by Cardinal Raymond Burke, who served as the Prefect of the Supreme Tribunal of the Signatura. Who Pressured Cleveland Plain Dealer to Pull Column?